Our 22 oz. 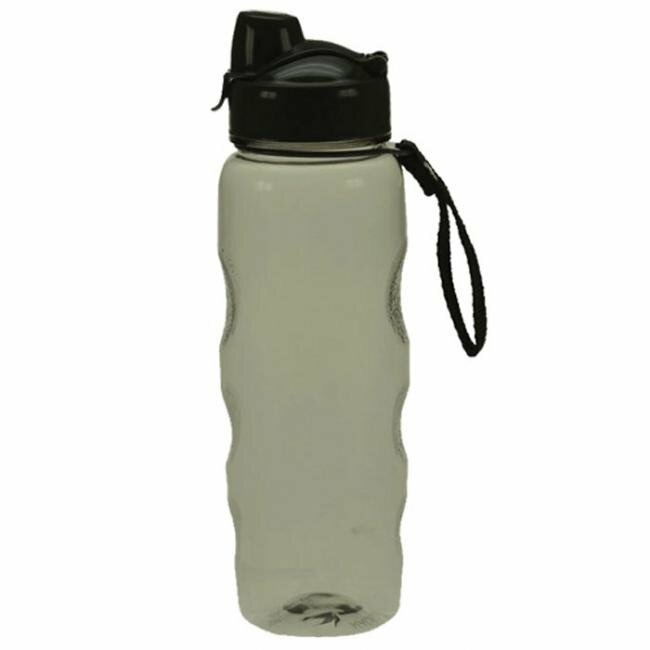 Plastic Sports Bottle is the perfect eco-friendly substitute for regular plastic water bottles. 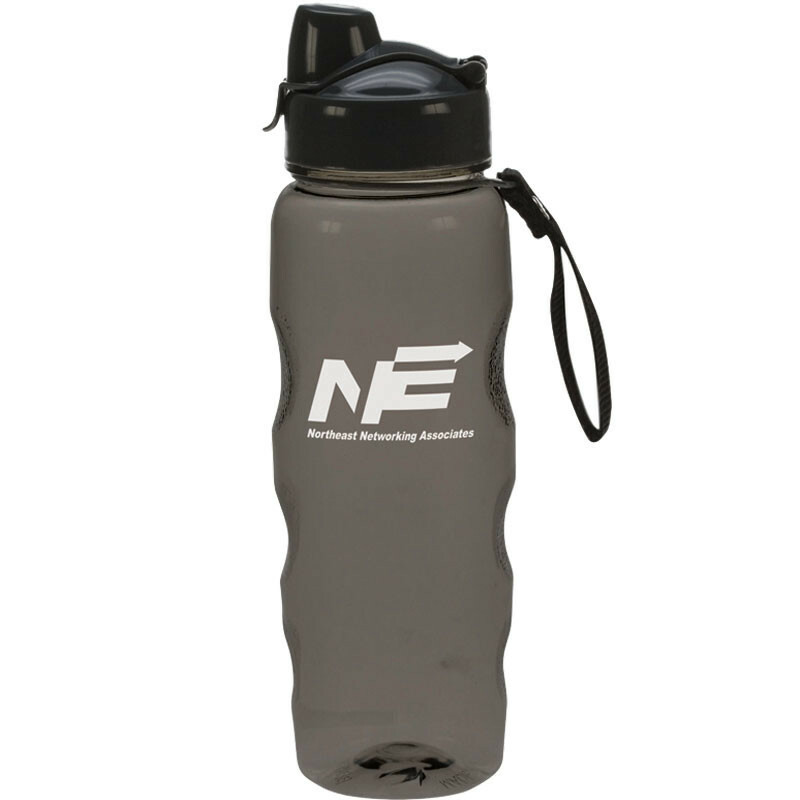 Constructed of BPA-free PCTG plastic, this customizable water bottle comes in a variety of colors to match your logo. 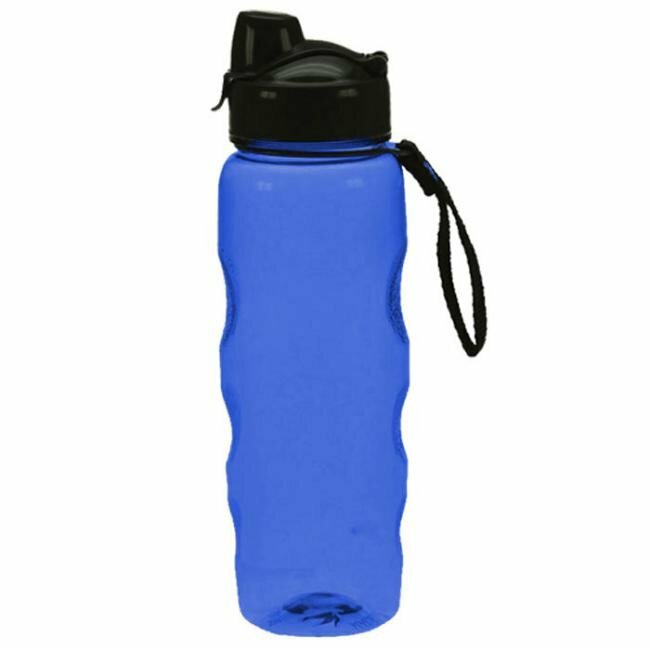 This product features a flip top lid with leak proof tab closure to protect against accidental leakage. 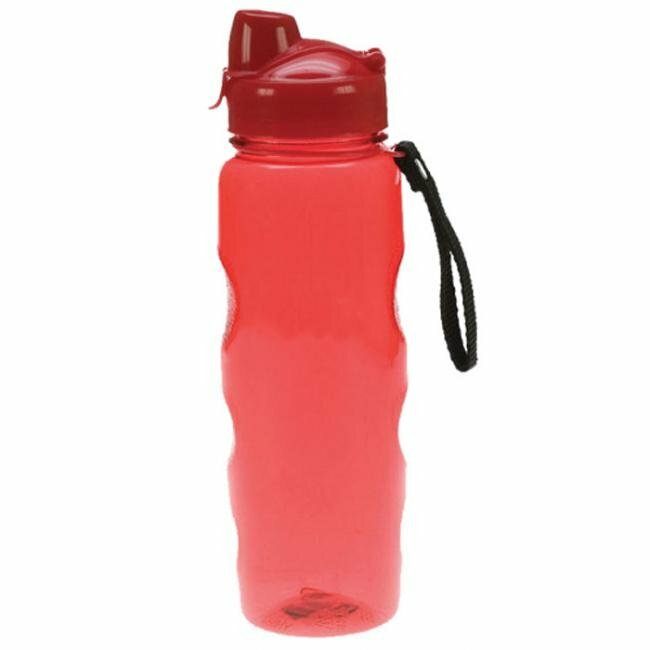 This custom water bottle also has indentations on the body for an ergonomic, non-slip grip. Even more, use the convenient wrist strap to take this sports bottle on the go with you. As with all of our products, you can customize this sports bottle any way that you would like. 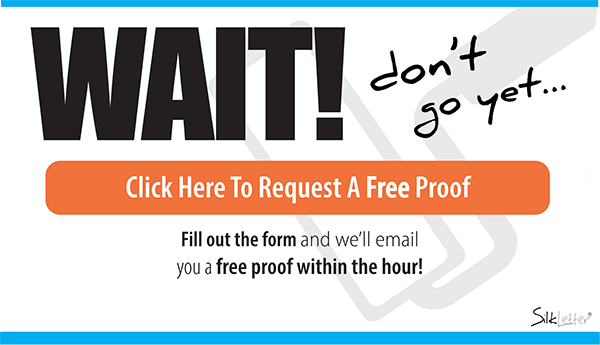 Choose to imprint your logo or design? Our helpful, friendly staff will help you get quality products with a quality imprint to make your logo stand out. We are sure these water bottles will make the perfect gift for your school or next company outing. • Product Capacity - 22 oz.